A fifty-foot-wide industrial igloo sits within the Los Angeles Center Studio housing a secret enclave for visionary experiences unlike any other. Part futuristic art space, part commercial experimentation and regarded as “IMAX’s nightmare” by Beastie Boys DJ Mix Master Mike, the dome’s 360 degree projection harnesses the power to transport visitors to any physical or metaphysical space in the world and beyond. Enter the Vortex Dome: an immersive experience that challenges traditional storytelling mechanics by daring to put the viewer at the center of the art piece.Since 2009 the permanent Downtown L.A. installation and its mobile domes have hosted over 150 shows, both big and small. From meditation classes to ballets by choreographer Stephan Wenta and visual artist Audri Phillips (Blue Apple) to Childish Gambino’s Pharos shows at Joshua Tree. 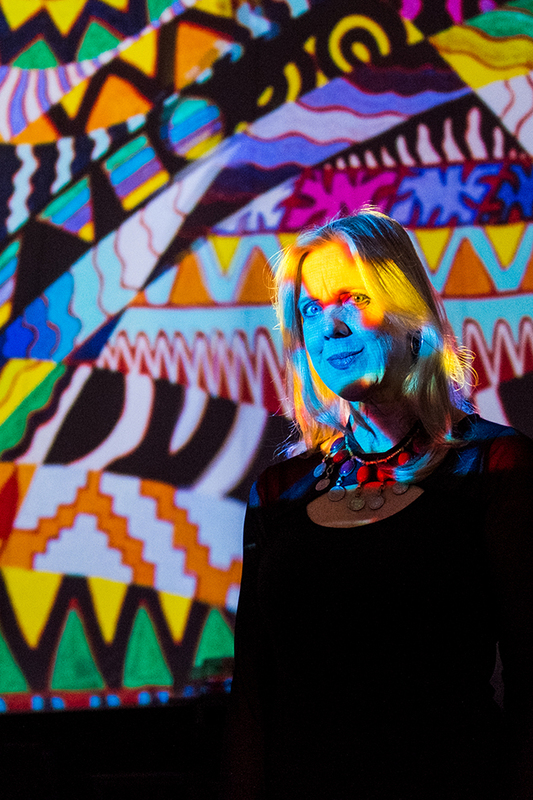 This unique L.A. event space is the centerpiece of VORTEX Immersion Media, a partnership between engineer Ed Lantz’ and television and film producer Kate McCallum, fused together through a mutual desire to raise awareness and expand consciousness through entertainment. The result is a collaboration that has culminated into a physical manifestation of the intersection between liberal arts and technology. Lantz has worked relentlessly to acquired an impressive array of knowledge and degrees from Computer Engineering, to Quantum Physics and Electromagnetic to a Masters of Science in Electrical Engineering.In 2009 Lantz and his partner, Matt Fannon, invested their saving and built Vortex Immersion Media from the ground-up and approached L.A. Center Studio who graciously offered a spot on their lot.Since his teenage years, Lantz had been inspired by the over 1,400 domes scattered across the globe. C3 has been pivotal in developing an artist residency at Vortex which encourages local artists to get involved.Lately they have opened their doors to students from CalArts and USC to explore 360 projections. 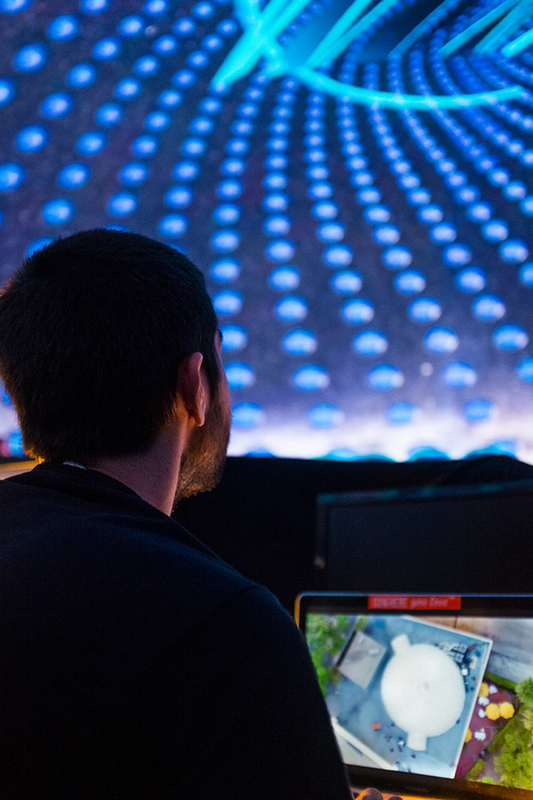 An upcoming project with USC aims to highlight the importance of water, using the Dome’s unique qualities to tap deep into the psyche of its viewers.The next Vortex Dome event on December 12 includes a panel discussion on the power of artificial intelligence, music and how the two can become a force for good. Presented by c3 and The Millennium Project, the State of the Arts 2016: A.I. for Good & Music That Transforms will feature a special preview of the mixed-media piece Robot Prayers presented on the dome.